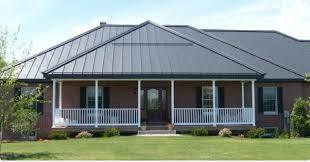 Norman Roofing Co. has been providing roofing solutions in the Norman, OK area for over 20 years. Our technicians are professional and experienced. You will not find a more reliable company to repair your roof or install a new roof for your home or business. Roof repair and roof installation are our specialty and the quality of our work is second to none. We provide a full line of roofing solutions and will work hand in hand with you to find the roof that best suits your needs. Whether you are looking for a traditional asphalt shingle roof for your home or a metal roof for your business, Norman Roofing Co. will handle everything. There are many other companies in the Norman, OK area for you to choose from. However, we feel that with the quality of our work and with our reasonable prices you will not find a better company that deals in roof repair and roof installation. We provide both commercial and residential services. Customer satisfaction is our number one priority and we will not quit until the job is done right and you are satisfied. Call us today to speak with one of our roofing technicians and set up a consultation. Need roofing help immediately?? We also provide Emergency Services and can often be at your front door within hours to get your roof back in working condition.